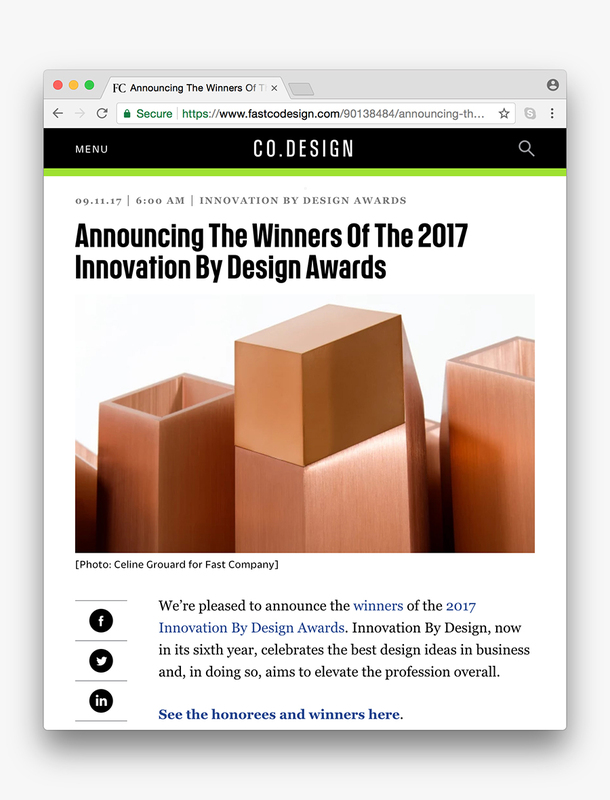 The Fast Company Innovation by Design Awards has awarded The Shinola Runwell Turntable an Honorable Mention in the "Products Category." I'm proud to be a part of one of the few products awarded that cannot be described as "smart." In working with Shinola, it was our goal to introduce innovation by re-thinking set expectations of a particular category. Specifically, The Runwell Turntable was designed as a warm furniture piece or accessory for the home rather than a piece of audio equipment.